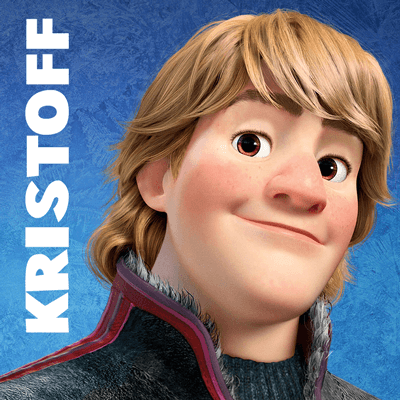 Kristoff is Sven the Reindeer’s best friend who helps Anna throughout Disney’s Frozen. At the end it lands up that they fall in love with each other. 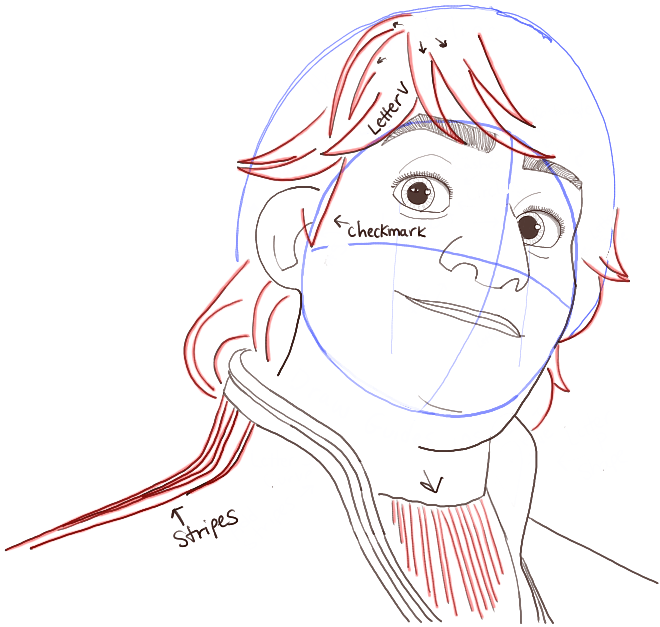 If you want to learn how to draw Kristoff, follow these simple-to-follow steps. I will guide you to drawing Sven with simple geometric shapes, letters, and numbers. Find out how below. 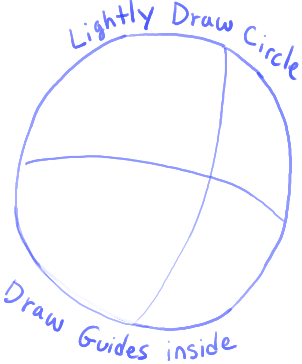 Lightly draw a circle with guides thru the inside. – Draw an upside down letter ‘v’ shape for the nose. 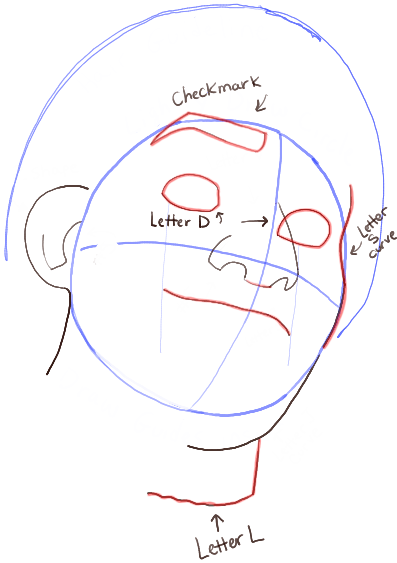 – Draw a backwards ?-like shape on the left side of the face. 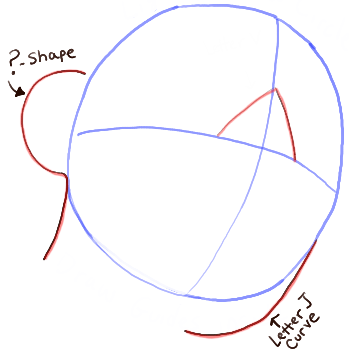 – Draw a letter ‘J’-like shape on the right-side of the face. 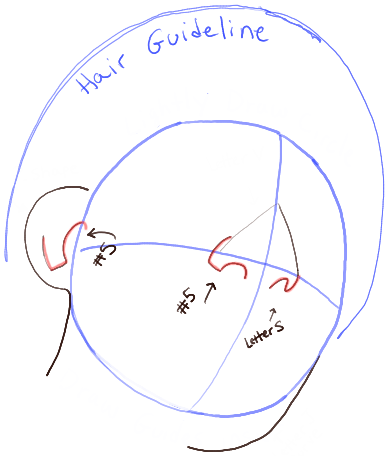 – Draw a half-circle for the hair guideline. – Draw a sideways #5-like shape in the ear. – Draw a sideways #5 and letter ‘s’-like shape for the nostrils. – Draw a curved line within the nostrils. – Draw the top of the mouth. Notice that there is a dip in the center…like a flattened #3-like shape. – Draw a checkmark-shape for the left eye brow. – Draw a flattened letter ‘s’ like shape on the right-side of the face. – Draw a backwards letter ‘L’ shape on the neck…the bottom of it is wavy. – Draw hairs in the left eye brow. Draw a rectangle for the right eye brow. – Draw the bottom of the top lip. – Draw a bubble letter ‘P’ shape for the right side of his clothing. – Draw a flattened letter ‘s’ like shape for the left side of his clothing. – Draw some stripes on the clothing. – Draw a circle in each eye for the highlights. 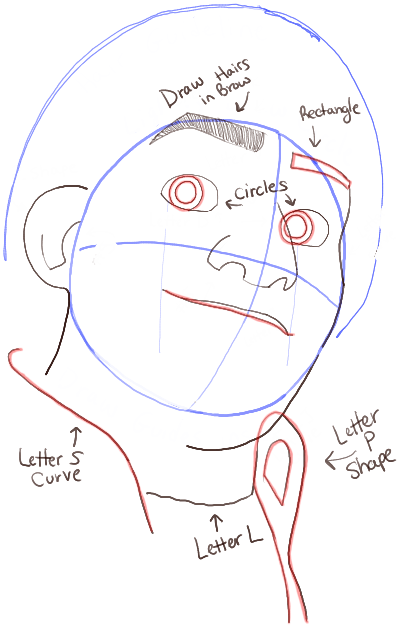 – Draw a curved line over each eye. – Draw hairs in the right brow. – Draw some hair using letter ‘v’-like shapes as well as some curved lines. – Draw some more stripes. – Draw some letter ‘M’-like shapes. 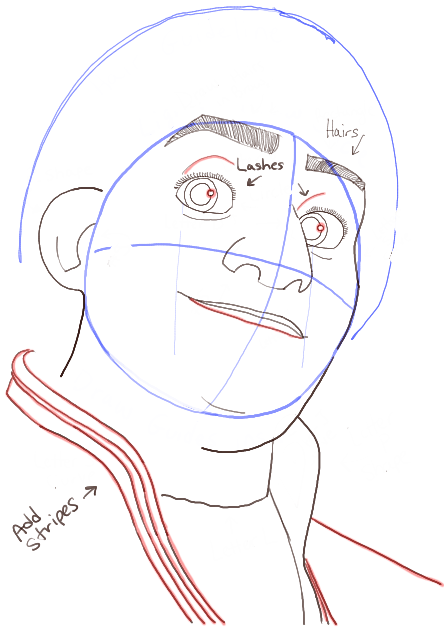 – Draw curved lines on either side of the mouth. – Add dots for freckles. – Draw wispy curvy lines for the inner fur on the clothing. – Erase any guidelines and darken or thicken lines that are important. 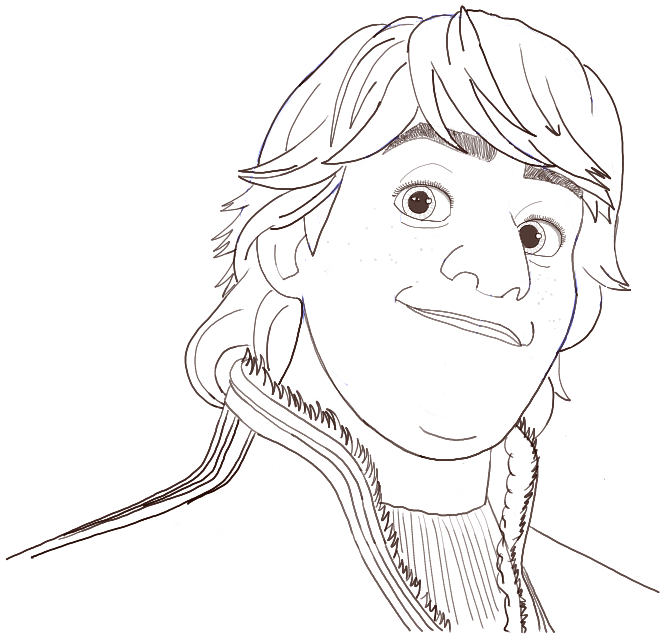 Oh and add a curved line to the chin…I forgot to add that until now. 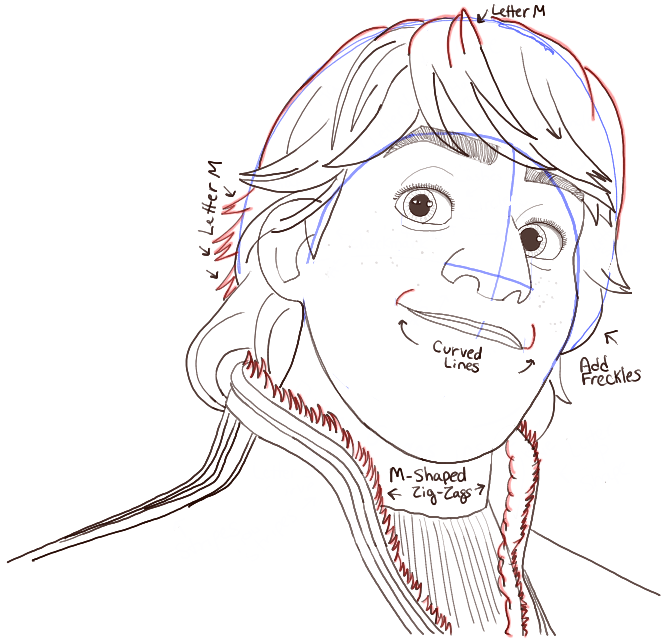 I hope that you enjoyed this tutorial and that it helped you draw Kristoff nicely. That was fun! Easy for me to do and it turned out great!